Each year, more than 25 million animals are used for scientific research in the U.S. More than 90 percent of those are mice - sort of. These lab-raised animals don't burrow or gather like their wild peers. They are more like abstractions of human ills, mouse models of disease, genetically engineered to die in a very particular way. "This is the central contradiction of animal experimentation: Mice are like us in all the ways that matter, so they're used as stand-ins for humans - but the moral significance of those similarities is ignored," says Justin Goodman, who has been an animal rights activist since he saw scientists drill holes in the heads of monkeys as an undergraduate at the University of Connecticut. That lab was eventually fined and shuttered after a probe spurred by People for the Ethical Treatment of Animals, where Goodman now heads the department of laboratory investigations. Since the 1980s, the rise of transgenesis - the science of genetic engineering - has brought with it a seemingly endless series of biomedical breakthroughs. It has also opened up a field of inquiry about the unnerving price of all this. "The use of primates in research has increased, and the use of mice has exploded," Goodman tells Newsweek. Researchers are no strangers to the ethical dilemma. Dr. David Katz, a director at Yale University's Prevention Research Center who has worked with a wide range of vaccine developers and other experimental researchers, says the prevailing opinion is best described as conflicted. But rather than prohibition, most scientists speak of an irreducible minimum. 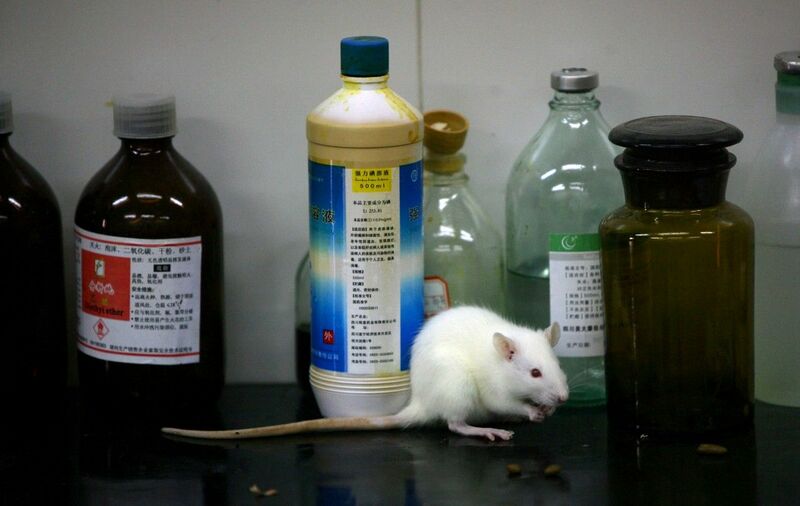 Of late, Goodman has found many converts to his position: Gallup polls show that more and more Americans are expressing concern regarding the use of mice and other animals in lab settings. Between 1949 and 2001, public dissent rose from below 10 percent to about 30 percent. In 2014, 43 percent of respondents oppose animal experimentation, with the college-age generation emerging as a breakaway demographic. "The scientists and policy-makers of the future are going to be much less tolerant of the practice," says Goodman. That puts more pressure on the scientific community, but, as its name suggests, the American Association for the Advancement of Science (AAAS) supports strategies that lead to breakthroughs. It is a vocal proponent of animal testing - as long as it is done in what they consider a "responsible" fashion. Still, its board of directors publicly opposed the Great Ape Protection and Cost Savings Act, which would have prohibited invasive research on primates like chimpanzees. In 2013, the bill died in Congress for the fourth time. But what if it hadn't? What if rights activists had swayed Congress, quelled the academy, drummed up public outrage, wrenched open the bars, and hauled all the lab animals back into the wild? Frankie Trull, science advocate and president of the Foundation for Biomedical Research (FBR), says, "An immediate end to animal research in the U.S. would be a death sentence for millions of people around the world," she told Newsweek. "If you've ever taken antibiotics, had a vaccine, had chemotherapy, an MRI, a blood transfusion, dialysis, an organ transplant, bypass surgery or joint replacement, you have been the beneficiary of research that started with lab animals." One of the more alarming consequences of a prohibition would be the crushing blow to research on neurodegenerative disease. Already an uphill battle, the struggle to pin down conditions like Alzheimer's disease would be all but lost, as all relevant research requires living systems. And note that dementia rates are expected to triple by 2050. Animal testing proponents like the AAAS and the FBR submit that the most sensible approach is one that improves and minimizes the use of animals in labs. There is precedent for the type of lawmaking Goodman and his colleague Casey Borch want to see in Congress: The European Union prohibits the use of animals when other points of inquiry are available. Still, while the American public is often quick to jump up in support of animal ethics, the complete elimination of animal experimentation is a minority view. The central moral question here resembles the age-old paradox of the heap: At what point do we start calling a collection of individual grains a "heap"? While the public has no qualms swatting flies or taking antibiotics, very few would ever kill a dog for sport. But it is much harder to draw the line where an organism become recognizable as a living, breathing thing, close enough to human that it deserves protection from our ways and means. According to Katz, efforts to resolve this ethical riddle are bound to fail. "Answers to this vexing question come in shades of gray, not black or white," he told Newsweek. Lab mice, it seems, are painted in these shades.